Get custom built native iPhone & Android ordering apps that are branded to your business. 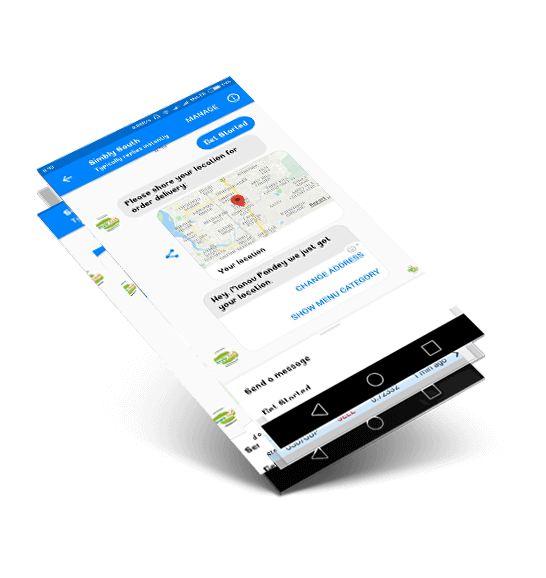 Your Customer can order from anywhere they are. Engage you loyal customers through push notifications. 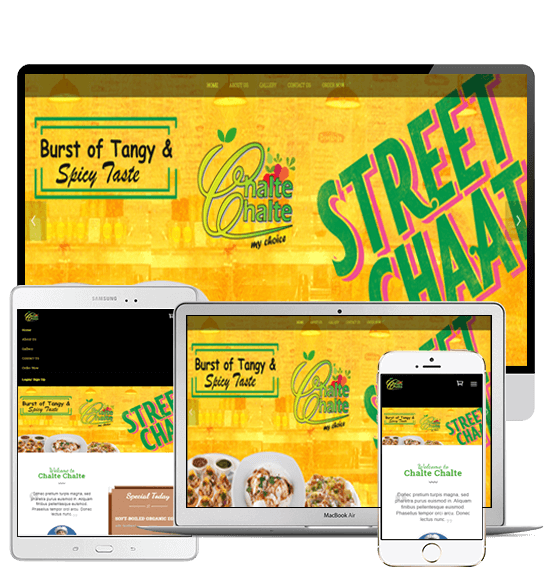 Get the online ordering plug-in on your website along with online payment gateway. By this you will open one more avenue for business generation. 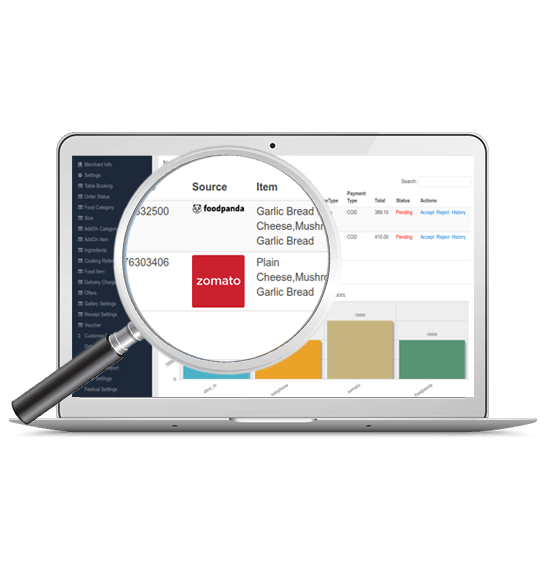 Get the Backend to manage your online ordering business – edit your menu, offers and vouchers. Get Statistics of your business and the customers. Get the Table reservation on your website. In today’s busy, customer prefers their seats to be reserved for Dine-in. No more waiting in the queue. 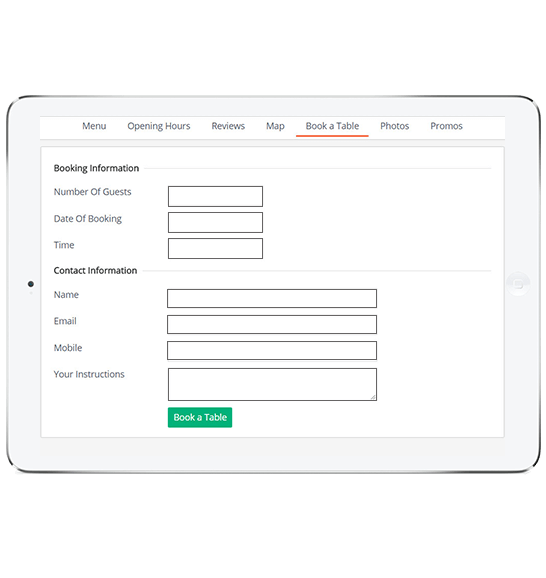 Customer can not only pre-book the table but he can also pre-book the meal and pay online. 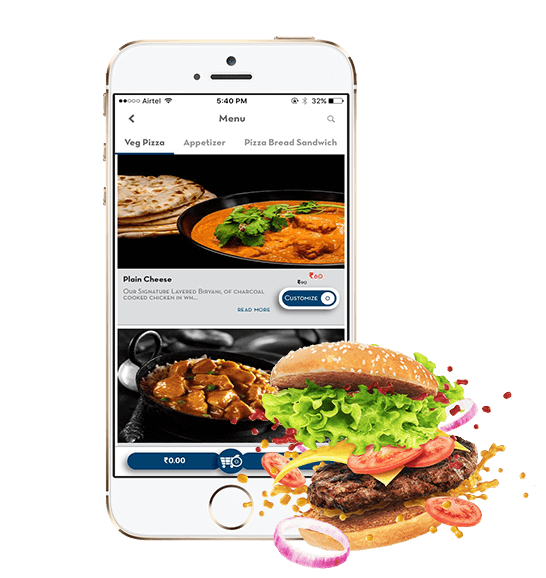 Get your Restaurant operational convenience, by integrating food orders of Aggregators on one platform. 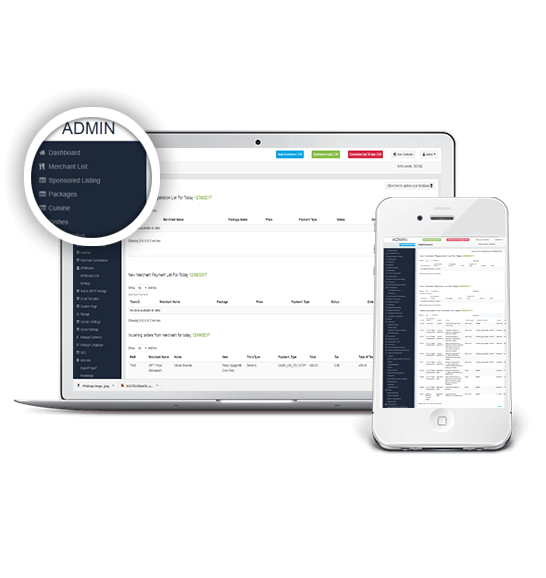 With this you receive all orders at one place & get Statistical data of deliveries from all the platforms. This will enable easy reconciliation of the commission and amount payable/ receivable from the Aggregators. Get complete access to change or add the menu, control the item availability / non-availability with the features to create discount / vouchers. Collect customer insights with every order placed, by getting the complete statistical report. Enjoy the convience of auto entry of delivery bills from own online ordering & aggregators platforms. 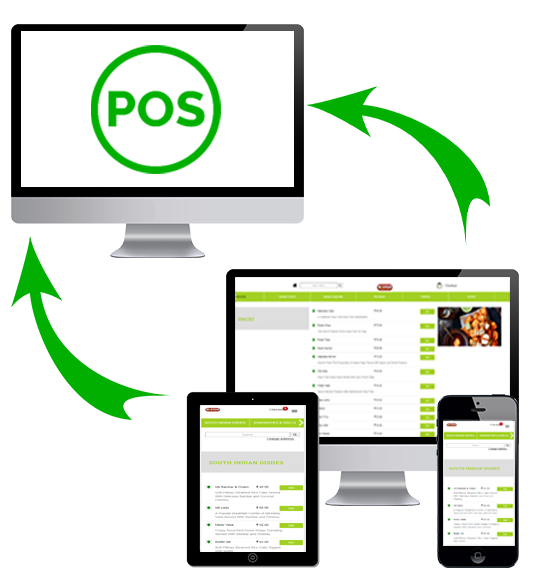 Manage menu prices & item availability on all platforms through POS. 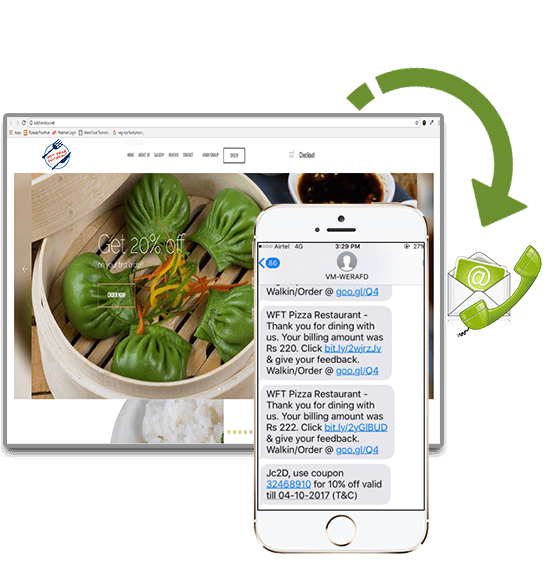 Send auto defined SMS / Email to dine-in, take away and delivery customers with auto generated voucher codes to encourage repeat orders. This way you do the target marketing. Generate voucher codes for specific advertisement campaign and access the result. 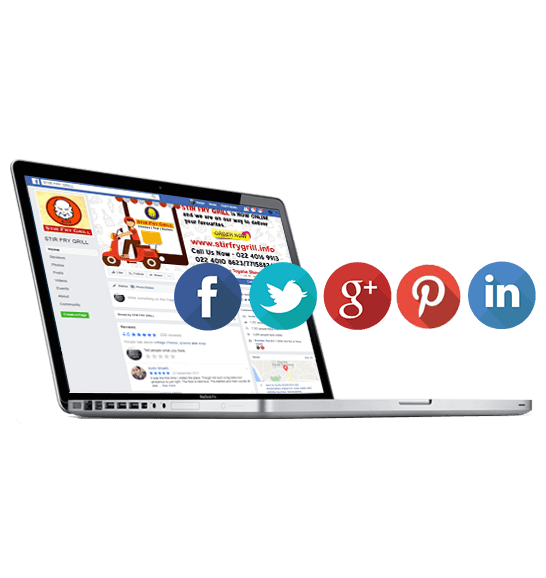 This will help to bring new customers to your restaurant. Send auto defined SMS / Email suitable for particular occasion: Birthday, Festivals etc. Engage all your Customers by sending Promotional bulk SMS. This will give you business on off days and off business hours. People love to Talk. We get them to talk about you and your brand. Humans love to fall in love; likewise consumers expect to stay connected with brands that interact/share and do lot more to increase their post purchase experience. 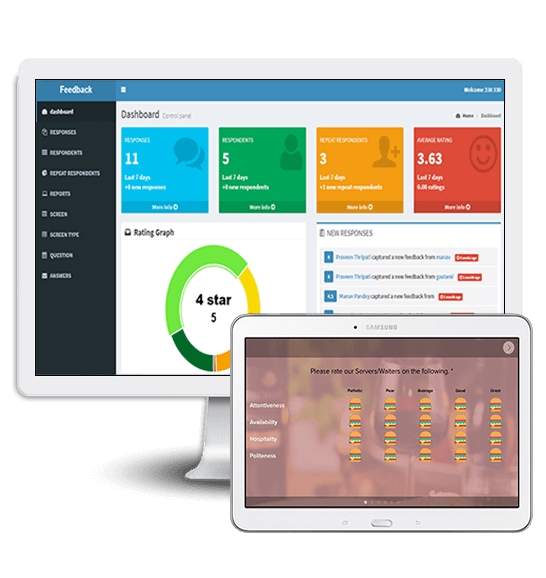 Get your customers feedback from Dine-in, Take Away & Delivery Customers. Take immediate action for negative feedbacks and retain your unhappy customer as well. Pamper your customer so that he is happy and he remains loyal to your brand. © 2017 Wera Technology Pvt. Ltd.